The specialists at our Children’s Center understand the special needs of children and are renowned for their unique surgical expertise and skills and their research, which is targeted at developing new techniques and medicines that make surgery both safe and effective. Our expert faculty and staff are committed to delivering comprehensive and compassionate family-centered care, conducting innovative medical research, and providing the best training to our surgeons and physicians. 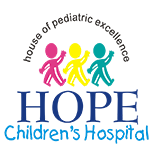 Our pediatric surgeons are also known for a wide range of expertise in taking care of infants and children with life threatening cardio-respiratory failure, minimal access surgery of the chest and abdomen, childhood surgical oncology care, pre and postnatal care of congenital birth defects, pediatric trauma, and vascular malformations.